The 2018 Brisbane Dog Lovers Show is holding the first Common Woof Games on Saturday 3rd and Sunday 4th November. 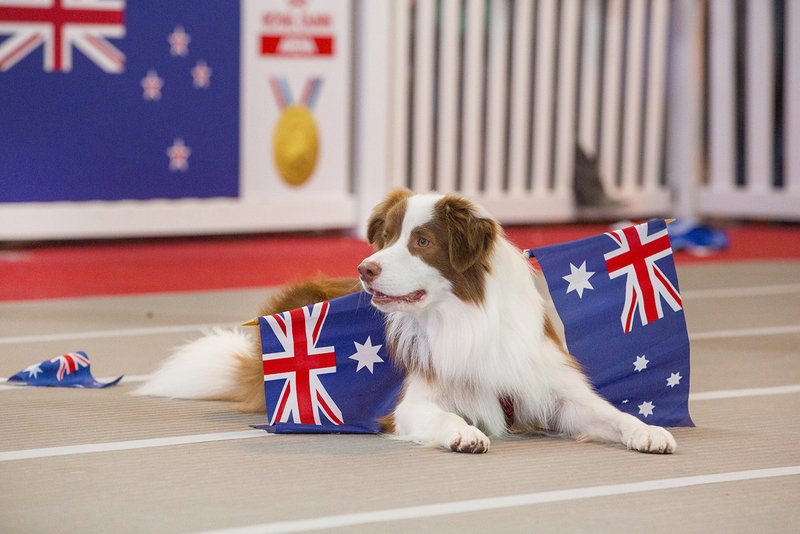 Taking place at the Brisbane Showgrounds, the games will see a plethora of pooches representing four countries that will compete in K9-fusion sports including: Dog Soccer, Basketball, Vault, Barrel Racing, Discus, Javelin Weave, Mini-Dog Hurdles. 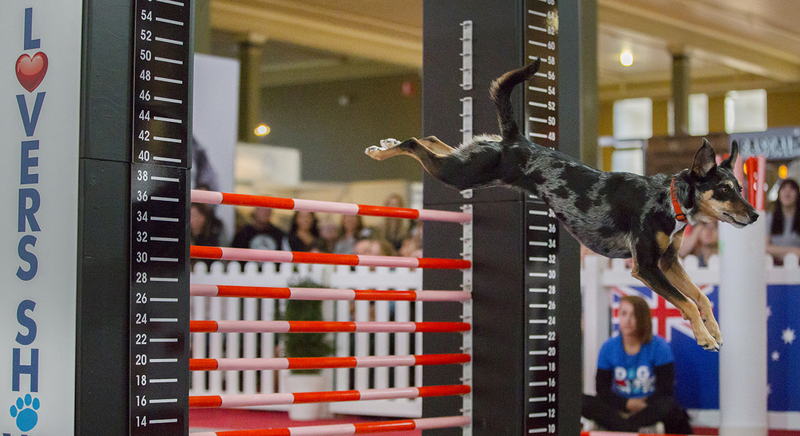 Rodney Gooch will showcase his height defying 4 Paws Sports Team to really wow the crowds. The Common Woof Games commence with a spectacular Opening Ceremony Extravaganza, hosted by Dr Katrina Warren, Kelly Gill and The Wonderdogs and victorious canines will be presented with their medals as part of the Official Closing Ceremony in the Royal Canin Arena at the end of each day. The outdoor forecourt will play host to the pool and aquatic divisions with the splash-tastic crowd favourite the Black Hawk DockDogs. Pooches of all shapes, sizes and abilities will take part in various Big Air, Rapid Relay, Speed Retrieve, Extreme Vertical and Dueling Dogs pool-based events with massive crowds expected to cheer on their favourite furry pawthletes in the splash-zone (BYO raincoat and brolly!). As if cheering on 4-legged champions wasn’t enough, visitors will also discover everything they need to know for a healthier, happier dog with free educational talks on the all new Pet Circle Stage from some of Australia’s most popular celebrity vets. 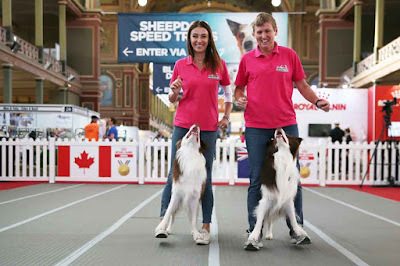 Those Two Girls, Lise and Sarah from The HIT Network’s national breakfast radio show will MC the Pet Circle Stage to welcome some of the pet industry’s biggest names whilst hosting crowd Q&As over the weekend. Brisbane local and Bondi Vet’s newest addition, Alex Hynes, will be taking to the stage to provide a host of useful advice for your canine including what to do for your dog in a range of common emergency situations with time for her fans to answer their most pressing pet questions. Brisbane’s much-loved vet Dr Harry Cooper is joining the Brisbane line-up for the first time to provide tips on how to choose the right breed for your home and lifestyle and how to solve the most common dog health problems. 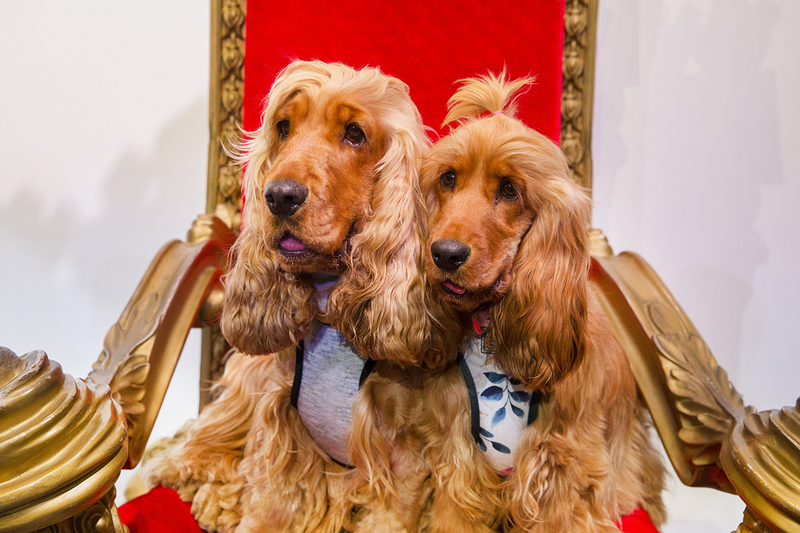 Dr Katrina Warren & Kelly Gill will also present easy tricks you can teach your dog at home and how to give your dog a happy and enriched life followed by a meet and greet and the chance to get up-close- and-paw-sonal with The Wonderdogs. Dr Carla Paszkowski & Dr Teagan Lever from the Pet Circle vet team will take to the stage to sniff out the truth and bust common dog myths. Every homeless dog deserves the opportunity to find a loving, well-suited home for life and the Dog Lovers Show Founder & CEO, Jason Humphris, remains committed to using the show as a platform to help rehome hundreds of canines in need this year. Jason said, “we have introduced an all new Dog Adoption Stage that will provide an opportunity for rescue groups to get up and talk about adoption, outline what’s really involved and help to connect loving, well-suited homes to the countless dogs Brisbane shelters currently have available for adoption. Visitors can also meet, interact with and snap a selfie with some of the biggest ‘K9 Stars of Instagram’ in the Insta-Pooch Zone! Watch these K9 celebrities walk the red carpet, take part in media interviews and interact with adoring fans – it’s one of the must-see attractions at the 2018 show! Dog devotees will delight in the diverse range of hounds at the Show this year with over 400 canines representing more than 100 breeds bounding into the Show. From Basenjis to Beagles, Bernese Mountain Dogs and Bulldogs, Rhodesian Ridgebacks and Rottweilers, there truly is a pooch to pat for everyone in the Breed Showcase. For all those burning questions head to the Ask-A-Breeder Stage presented by DOGS Queensland as over 20 reputable breeders talk about the temperament, grooming routines, exercise & nutrition requirements of their dogs. There is ample opportunity to get licked, loved and slobbered on in the Pat-A-Pooch Zone, where the young and young at heart can lounge on giant beanbags and meet breeds of all shapes and sizes, including puppies, rescue dogs, service and therapy dogs. 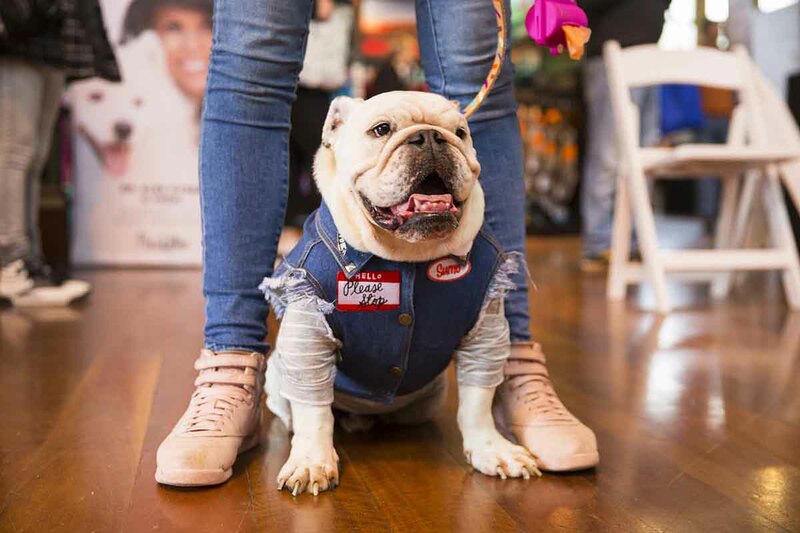 Head to the Bow Wow Meow Pawfect Match Zone where there are over 50 large information posters on a wide variety of breeds and a special survey to help you find the right dog for your home and lifestyle. It’s also a rare opportunity for dog owners to stock up for the entire year with over 150 exhibitors and stacks of exclusive show specials and free samples. It’s like a giant supermarket for dog lovers including dog-friendly accommodation, beds, clothing, pet doors, food, funeral services, grooming, insurance, kennels, leads, collars, photographers, retailers, technology, toys, trainers, travel services, treats, vets, walkers, dog meds etc. It’s the ideal place to fill up your pooch's stocking for the festive season! 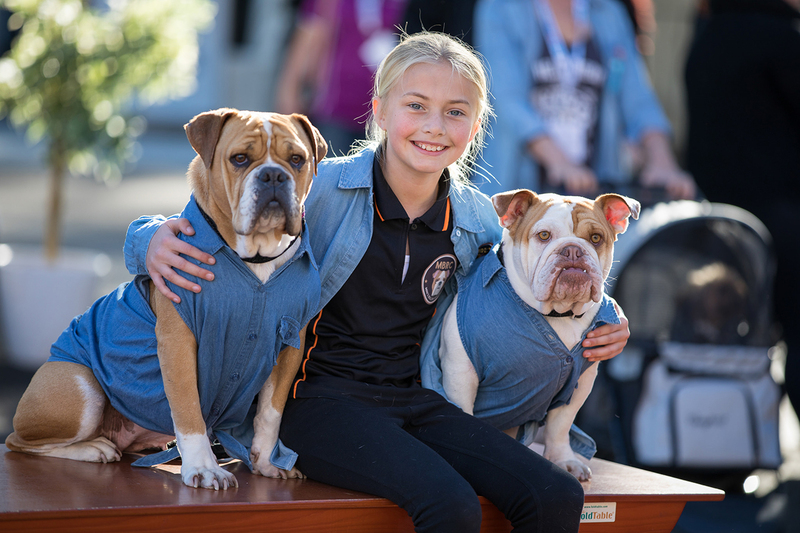 Kids will also get to transform into the pooch of their choice with free face painting and an interactive funny photo wall and some of Brisbane’s most delicious food trucks will be rolling into the show across the weekend to fuel a fantastic fur-filled fun day out. Please note: dog welfare is number one priority so unfortunately visitors are unable to bring their dogs to the Show – please see the website for full detail on this policy.